Need San Diego carpet cleaning services? 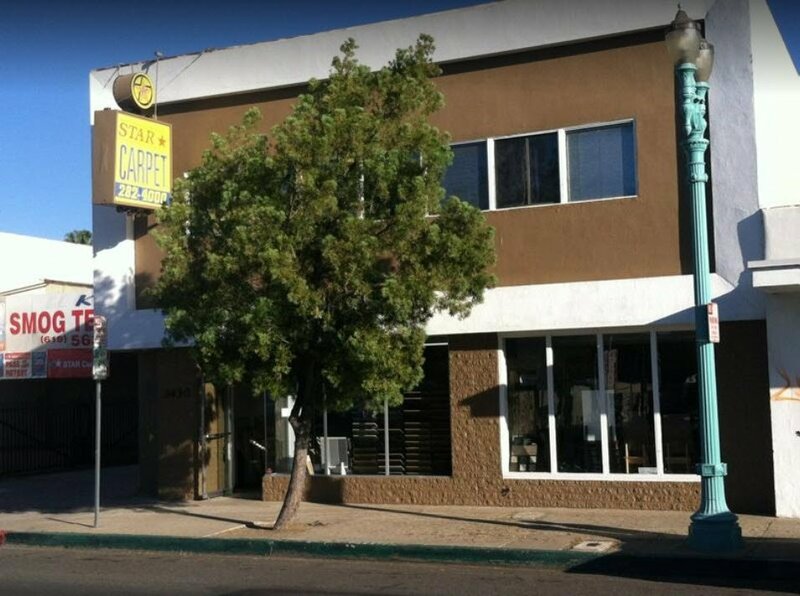 Call Star Flooring & Remodeling now at (619) 282-4000 and let us handle your carpet cleaning needs. There are many benefits of carpeting your property, but its functionality can be ill-affected by daily traffic and spills which can leave stains. By having Star Flooring & Remodeling maintain your carpet, you can be sure of its prolonged life, saving you money in the long run. What Are The Benefits Of San Diego Carpet Cleaning? More often than not, carpet is preferred by many homeowners for their living rooms and bedrooms. However, when compared with other flooring options, carpets are more challenging to clean and maintain. Apart from regular vacuuming, it is also important for you to get a professional San Diego carpet cleaning according to the manufacturers’ recommendations. The American Lung Association says that dust accumulated in carpet can make family members suffer from breathing problems such as asthma or snoring. This explains why it is important to keep your carpet dust-free. Aside from that, below are more benefits that you can get from carpet cleaning. Trapped pollutants are eliminated. Indoor air pollutants and their sources can be retained in a dirty carpet. Toxic airborne gases can also become trapped in the carpet. By vacuuming your carpet and by walking through it, the toxic gases are released into the air. With thorough cleaning, bacteria and trapped pollutants can be removed. Dust mite infestations can be cleared. Dust mites infest many homes, but not all homeowners are aware of this because the mites are not visible. Mites are not allergens, but they leave body fragments and feces which are allergens. Because these particles are very small, they can be inhaled especially once the area is disturbed. Inhaling dust mite debris can worsen allergies. With professional carpet cleaning, dust mites can be killed and removed with a high-temperature wash. Mold growth can be prevented. Mold can easily grow in a dirty carpet, especially when it is exposed to moisture or high humidity. We prevent this from happening by using high-powered drying tools to minimize moisture. What Are The Different San Diego Carpet Cleaning Strategies? Star Flooring & Remodeling uses different cleaning methods to get your flooring beautiful. Steam cleaning. This is also known as “hot water extraction” and it is a common carpet cleaning method. Under high pressure, the carpet is injected with water not to exceed 140 degrees. The dirt is loosened by the hot water and our machine immediately draws out the dirt and moisture. Odors, dust mites, and bacteria are removed as well. Carpet shampooing. This process involves the use of a foamy chemical. The chemical is applied on the carpet. We then agitate the carpet using a motorized circular brush. The shampooed carpet is then vacuumed thoroughly. Carpet dry cleaning. In this method, virtually no water is used. An absorbent compound is applied into the carpet and it is spread thoroughly with the use of a mechanized brush. A commercial vacuum cleaner is then used to remove soil and residue. This method allows the carpet to dry faster than other methods. Bonnet cleaning. In this method, a cleaning product which is mixed with carbonated water is spread over the carpet. A “bonnet” or a circular rotating buffer having absorbent cover is then run over the carpet. The answer to this depends mainly on the type of use the carpet endures. The Institute of Inspection, Cleaning, and Restoration or IIRC recommends cleaning carpets at least once a year. Low-traffic area carpet should be cleaned once every 12-18 months, but high-traffic areas should be cleaned quarterly. Regardless of when you need San Diego carpet cleaning, do not hesitate to call Star Flooring & Remodeling at (619) 282-4000. If you have children, pets, smokers, or visitors from time to time, your carpet should be cleaned 2-4 times yearly. Our San Diego carpet cleaning services can spot-treat stains and vacuum your carpets to prolong its life. Cleaning keeps the carpet and floors looking fresh and clean. Why Should You Hire A Carpet Cleaner? There are different types of carpet. Not all carpets are the same. Some carpets are made of wool and some are synthetic. Because of this, they require different cleaning methods. Our technicians know which cleaning strategy is best Additionally, the machines and tools are less effective when you don’t have experience in operating them. Our professionals know how to remove stains. Not all carpet cleaning products can deal with stains. In fact, some stains can’t be removed by over-the-counter products. Our technicians are trained in removing stains of all types. Extensive cleaning. Even if you have carpet cleaning machines and tools, it’s likely that a professional cleaning job will be more thorough. Carpet cleaning is really important when you want to maintain the quality of your flooring. Contact us when you need help with your carpet. Our professional San Diego carpet cleaning services are always available. Call us at (619) 282-4000. Just had some carpet installed by Star. The sales rep was very polite and went out of his way to match the carpet with other in the house. The installer Jonathan Robles did a great job in installing the carpet. He installed the carpet with only one seam and one cannot tell where the seam is. Good job Jonathan. Me and my girlfriend just moved from Vegas to my home in San Diego and was referred to star by my property management and I am so happy I was. Scott handled helping us find our carpet and all we had to do was explain our concept and he found the perfect flooring first try. He took great care of us through the whole process. All of the people installing were great. The carpet people were very friendly and finished ahead of schedule. The laminate guy even let us borrow some Allan wrenches while we were setting up our Ikea couch. Called Skylar to pay had some hiccups on my banks part but never lost his positivity throughout the back and forth. All in all I will highly reccomend this company. Great product and awesome people. Huge shout out to scott though can't express how great he treated us and how efficient the company is as a whole. I have used them many times to clean both carpet and upholstery. They also did a few repairs and they were just great ! I plan to use them for some installation shortly and have seen their work at friends homes. Very good service , great work, nice people, and quality installation at a fair price . This is the second time I have my large sectional professionally cleaned by Star Carpet & Flooring. Diego did such a great job the first time that I specifically asked for him this time around too. He did not disappoint, I have 4 cats and Diego made sure to add the enzyme treatment and took special care to target all the problem areas. He really pays attention to detail and is always quite the professional not to mention always nice and friendly. He takes the time to answer all your questions and doesn't make you feel like you're wasting his time. I will definitely ask for Diego again. Well done Diego!